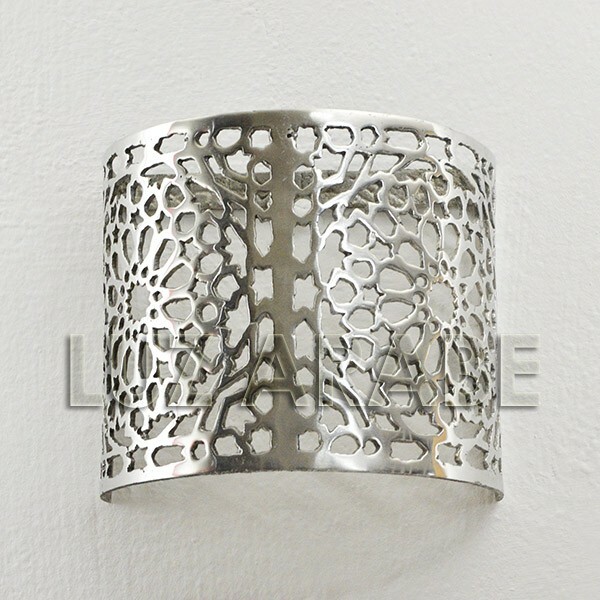 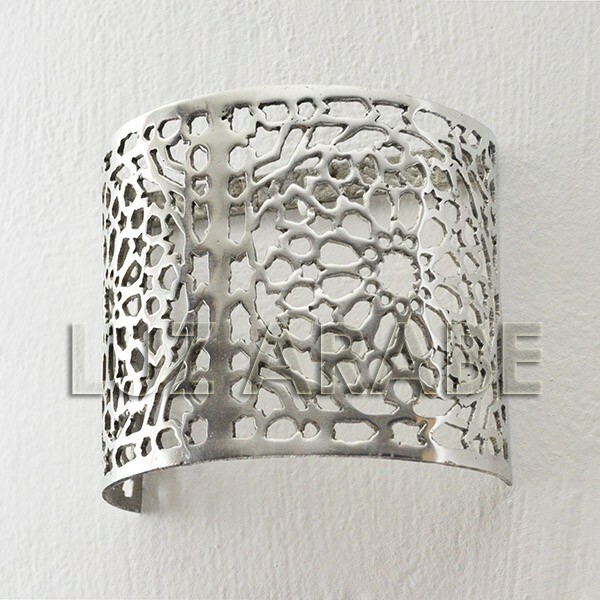 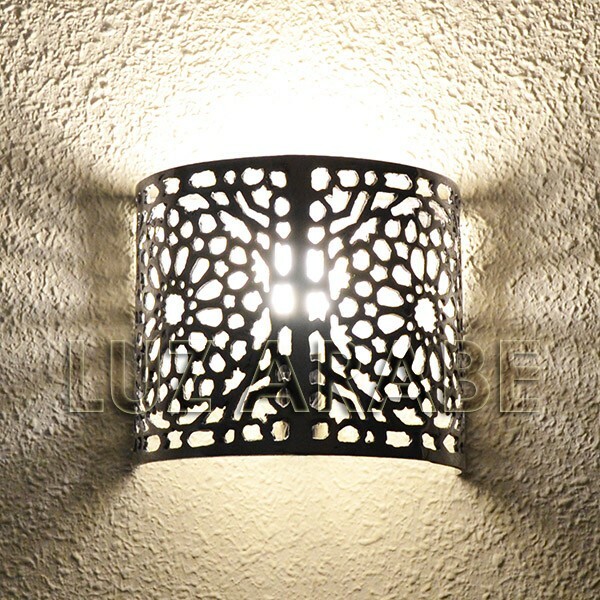 Wall lamp made of perforated and polished aluminum, cylindrical in shape. 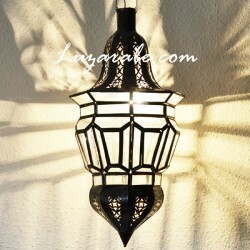 This model has a typical damask design from the Omeya period. 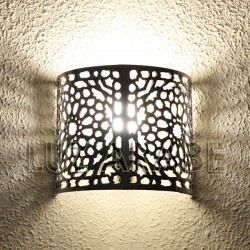 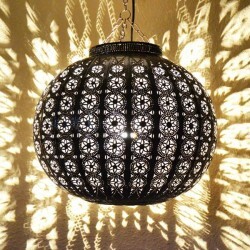 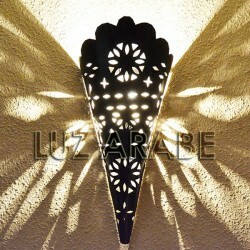 It is ideal for living rooms, corridors and entrances, as it lets in a lot of light.